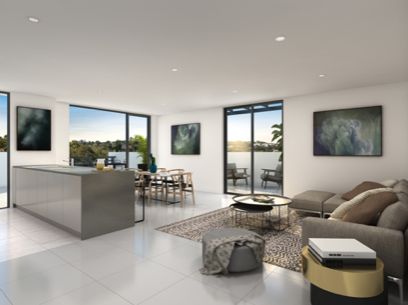 As a property development company, we work closely with architects and designers because when it comes to apartment living, great design is crucial and in high demand in the Sydney market. Interior design, as well as exterior, has shifted through various trends in the last few years, from simple essentials down to the bare minimum, to modern takes on traditional living. Now more than ever, buyers are being drawn to unique designs, adventurous textures and tones and daring finishes that add a depth of aesthetics. Open plan spaces are becoming the more common go-to and the most popular amongst interior architects and residents. Open plan living in homes allows for a more communal, sociable layout where the seamless transition from living room to dining room to kitchen to outdoor area is smooth and free-flowing. In addition, it’s a clever use of space and open plans are the most desirable option for smaller areas – allowing them to appear bigger than they are, and of course, more roomy. Apartments are generally more space-stricken than standalone homes. One of the most effective ways to counter this and keep spaces as clear, neat and concise as possible, is through clever storage. Modern design sees storage solutions used throughout an apartment. Strategically positioned cabinets and use of unused space, such as underneath stairs are some of the popular options. 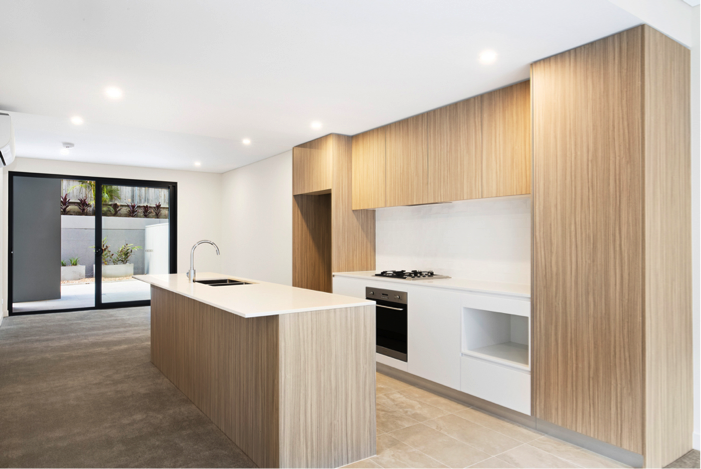 In kitchens, up to ceiling cabinets or using benchtops for their core purpose, as well as storage units are another. Termed “transterior”, one of the most trending (and our favourite) features is about bringing the indoors, outdoors. 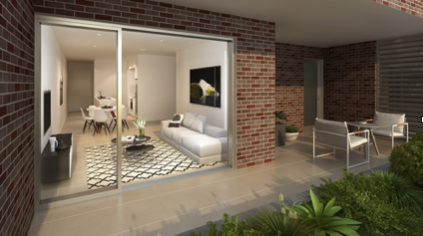 Outside spaces are taking a shift towards a more liveable, entertaining and leisurely space. This has been achieved by allowing for a seamless transition from indoor to outdoor, such as incorporating an uninterrupted flow from living rooms to a sunroom, or straight onto a balcony. These trends are amongst many more that have become abundant in apartment living across Sydney. As we respond to market, industry and consumer trends, it is also essential to adapt to living and design trends, offering residents and investors current, contemporary layouts that are also functional and long-term.